Amazon, EasySize, Evo Pricing and Lectra explored diverse uses for customer data during a round table event. 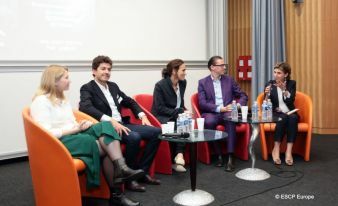 Lectra, the French business school ESCP Europe and their joint ‘Fashion & Technology’ Chair examined the multiple ways the fashion industry’s ecosystem can use customer data, during a recent round table event at the start of the fifth Fashion Tech Week in Paris. Elise Beuriot, senior category leader, EU Luggage, Amazon, Olivier Dancot, VP of data, Lectra, Fabrizio Fantini, founder and CEO, Evo Pricing, and Gulnaz Khusainova, founder and CEO, Easysize, agreed straight away on one key point: the analysis of customer data lends itself to limitless applications along the entire fashion value chain. Its impact is immense, whether in terms of customer satisfaction, competitiveness, revenues or waste limitation. As early as the design phase, a wealth of data offers many sources of inspiration for stylists. For teams in charge of collections, “complex models allow the analysis of data like online traffic and purchase history in order to design and offer the products that consumers expect, which is a priority for a company obsessed by the customer, like Amazon,” stated Elise Beuriot. For sales, “decisions based on data trigger millions of orders. The impact on the inventory is enormous,” she added. “Fashion is an industry where unsold items generate a lot of waste. Algorithms and big data analysis can reduce left-overs by anticipating demand several weeks ahead in order to optimize the price and replenishment,” observed Fabrizio Fantini. “Fashion compa Elise Beuriot, senior category leader, EU Luggage, Amazon, Olivier Dancot, VP of data, Lectra, Fabrizio Fantini, founder and CEO, Evo Pricing, and Gulnaz Khusainova, founder and CEO, Easysize, agreed straight away on one key point: the analysis of customer data lends itself to limitless applications along the entire fashion value chain. Its impact is immense, whether in terms of customer satisfaction, competitiveness, revenues or waste limitation. As early as the design phase, a wealth of data offers many sources of inspiration for stylists. For teams in charge of collections, “complex models allow the analysis of data like online traffic and purchase history in order to design and offer the products that consumers expect, which is a priority for a company obsessed by the customer, like Amazon,” stated Elise Beuriot. For sales, “decisions based on data trigger millions of orders. The impact on the inventory is enormous,” she added. 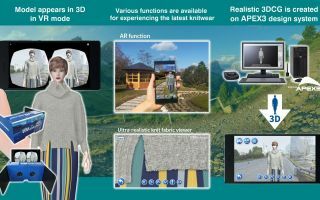 Other IT models aggregate customer data in real time ‘to determine, among hundreds of factors, those which have the biggest influence on buying decisions. Value doesn’t necessarily lie in the volume of data but in the depth of the analyses,’ claimed Gulnaz Khusainova. Easysize is careful that collected data is anonymous, she underlined, because ‘consumers need to keep control of their data, and know how it is used’. 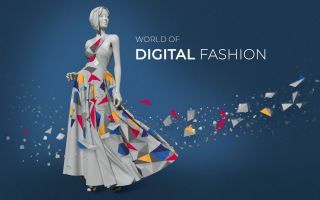 For editors of software dedicated to fashion businesses, and suppliers of cutting machines designed for the clothing industry, “analyzing usage data from our solutions enables the offer to evolve, making each step in the value chain more efficient and perfectly adapted to the needs of the brands, retailers and manufacturers. 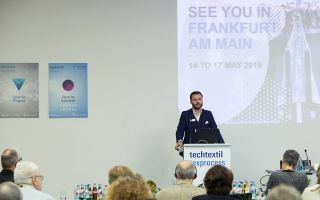 What is at stake is better quality products, placed on the market as quickly as possible and at a reduced cost,” explained Olivier Dancot.